Rick and Morty season 3 episode 7 was aired on September 10, 2017 and the next episode will be out after a few days. 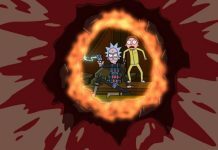 The previous episode was considered as one of the best Rick and Morty episodes so far, and fans are currently left wondering what the next episode will feature. Recently, to get fans hyped up for the next episode, a preview trailer of Rick and Morty season 3 episode 8 was released. 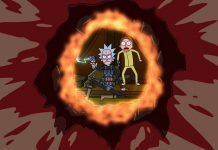 The preview trailer which was released on Sunday basically reveals what Rick and Morty season 3 episode 8 is going to feature. 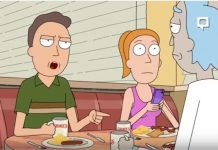 Judging from the scenes featured in the trailer, the duo is going to steal something really important from somewhere, which will lead into Morty getting sick. In the trailer, Rick and Morty are being chased by someone as they run away after stealing something. The place where they stole from was really weird and upside down, and it also had a lot of stairs. This means that the duo is in another world and they are now in serious trouble. Morty is later revealed to be carrying a turtle, which has three eyes of different colors. The place is filled with statues of the turtle, meaning that Morty is actually carrying the Truth Tortoise, who is worshiped in the world they are stuck in. While running away, Rick tells Morty not to drop the Truth Tortoise or even look into its eyes. But as expected, Morty has already looked into the turtle’s eyes and Rick reveals it to him that he will now know everything. The scene is later switched to Morty who is currently feeling sick because of the Truth Tortoise inside is head. 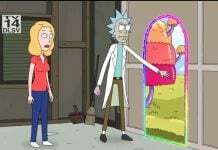 Rick then takes his grandson to a laboratory, where he is going to help him. 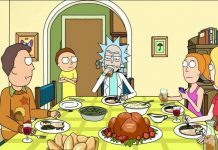 It is also said that the upcoming episode might reveal some stuff from Morty’s past. 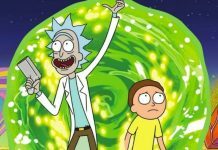 Rick and Morty season 3 episode 8 is titled as “Morty’s Mind Blowers” and it will be aired on September 17, 2017 at 11:30 PM Eastern Time on Adult Swim. Be sure to share your thoughts in the comments below.